The Next Generation of Robots is Here. 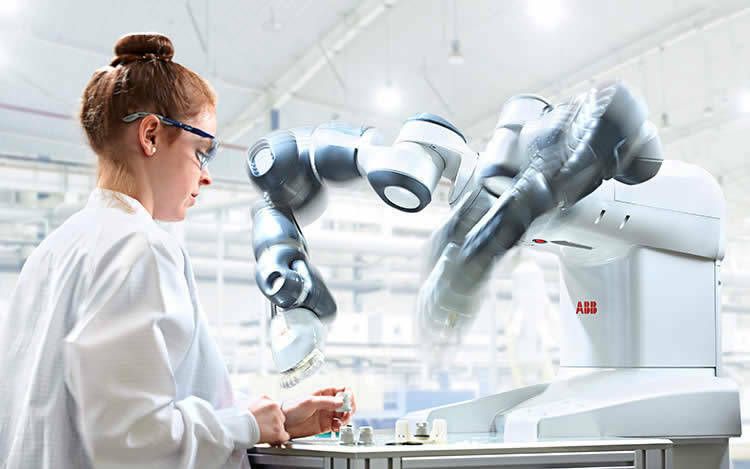 QComp offers ABB’s YuMi, the first truly collaborative dual armed robot, designed for a world in which humans and robots work together. 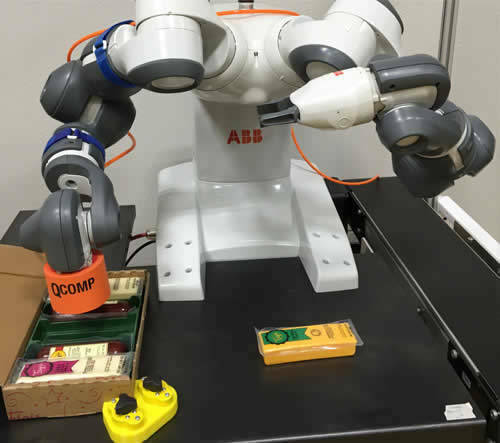 A collaborative robot, aka cobot, is a robot that can safely and effectively interact with human workers while performing simple industrial tasks. However, end-effectors and other environmental conditions may create hazards, and as such risk assessments should be done before using any industrial motion-control application. 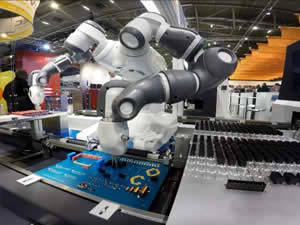 The ABB YuMi is intentionally designed to resemble its human counterparts to be friendly and nonthreatening with a compact, dual-arm body which requires no more space than a human workstation. 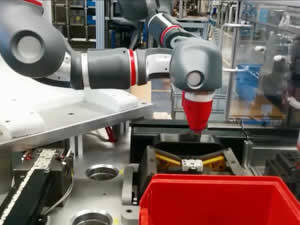 The YuMi is highly accurate with built in force compliance for two arms working in coordinated assembly operations. Or the arms can work independently as two completely separate 7 axis robots. QComp has engineered cells capable of high speed assembly and inspection of various components. QComp engineered systems apply various functions to perform Machine Tending operations.